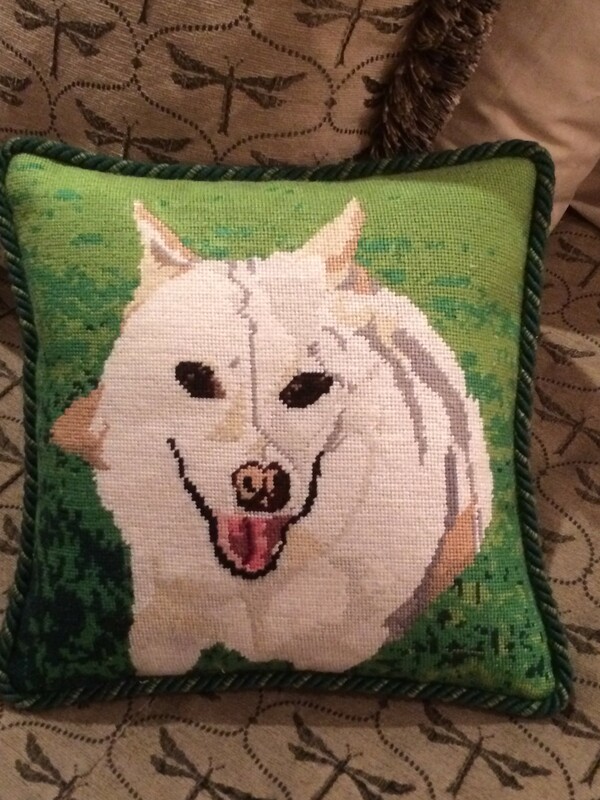 The beauty of needlepoint pillows is still second to none. 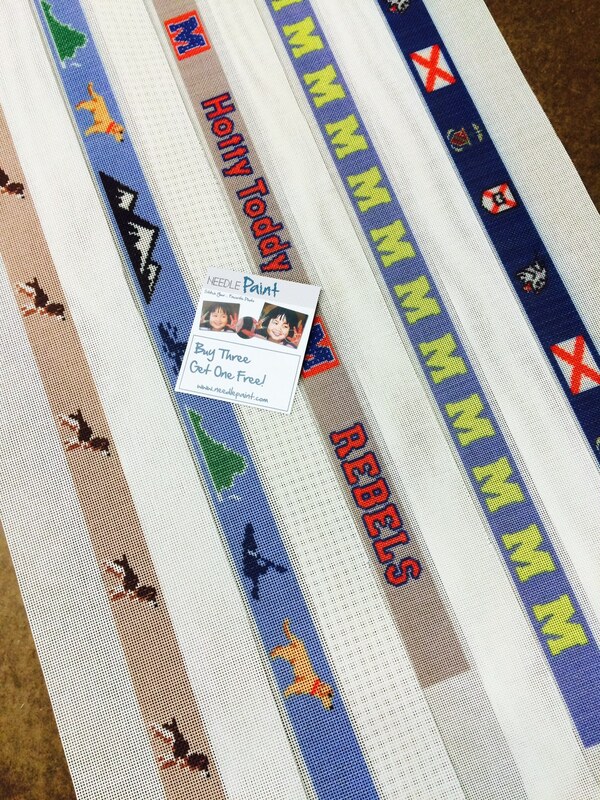 We just finished some new projects and the pictures speak for themselves. 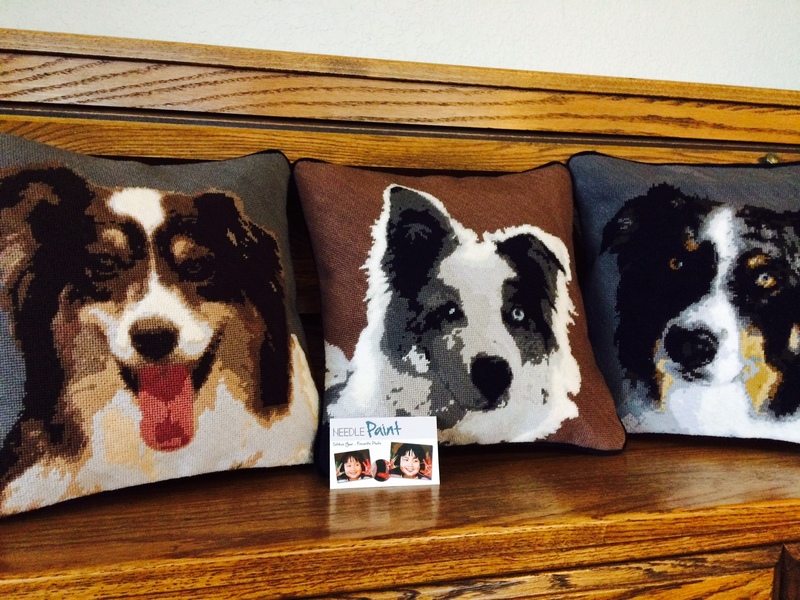 These are hand crafted needlepoint pillows that were designed on our website using the custom needlepoint pillow designer! 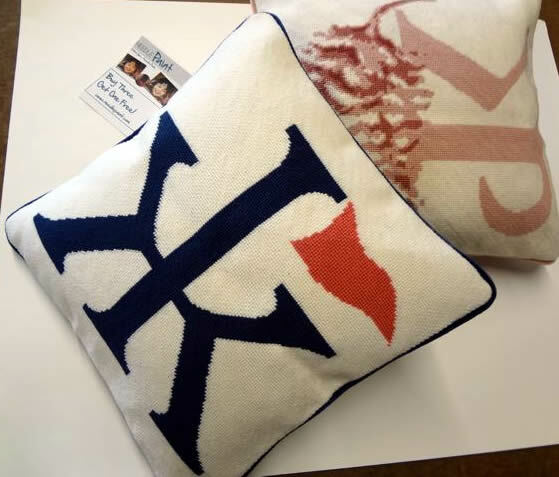 You can make needlepoint pillow previews for free, and if you are intersted in placing an order feel free to get in touch with any questions about what we can do to assist! We’re here to help. 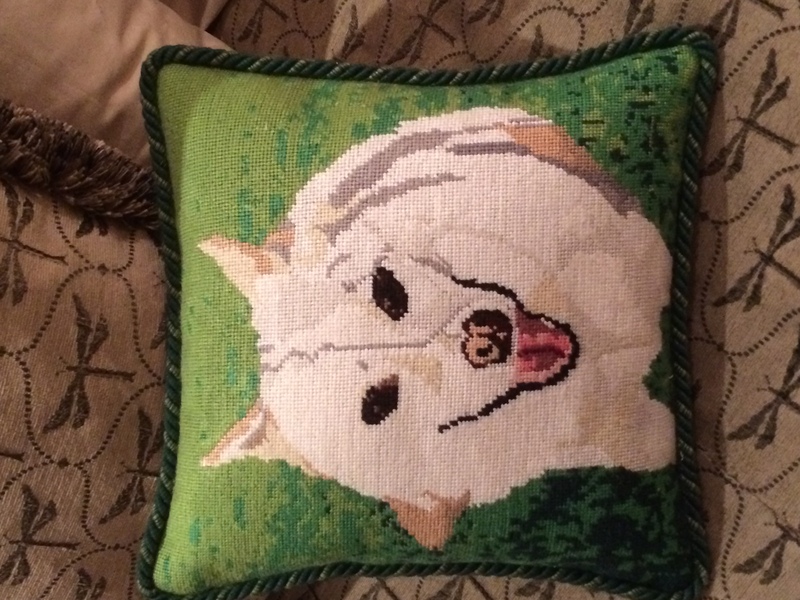 All of our pillows are also available as DIY needlepoint kits. 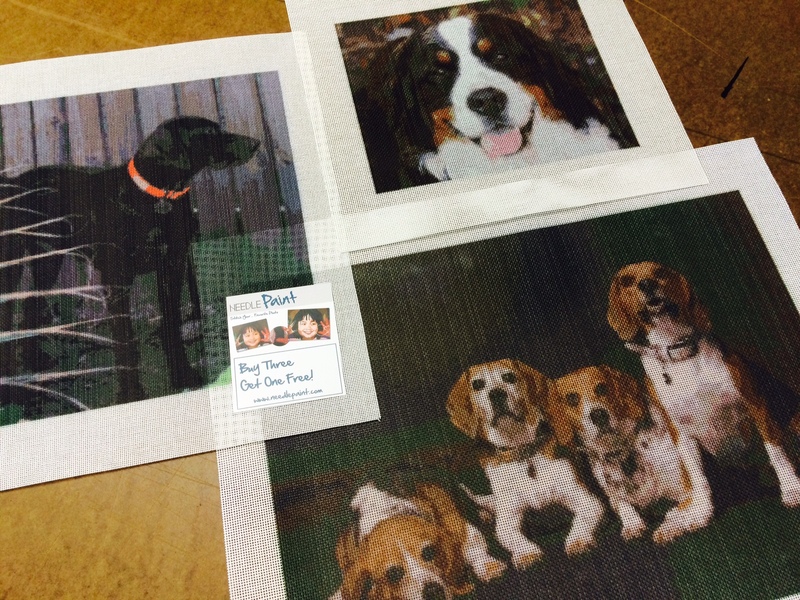 Here are some of the projects we finished last week, the dog needlepoint canvases came really came out well! 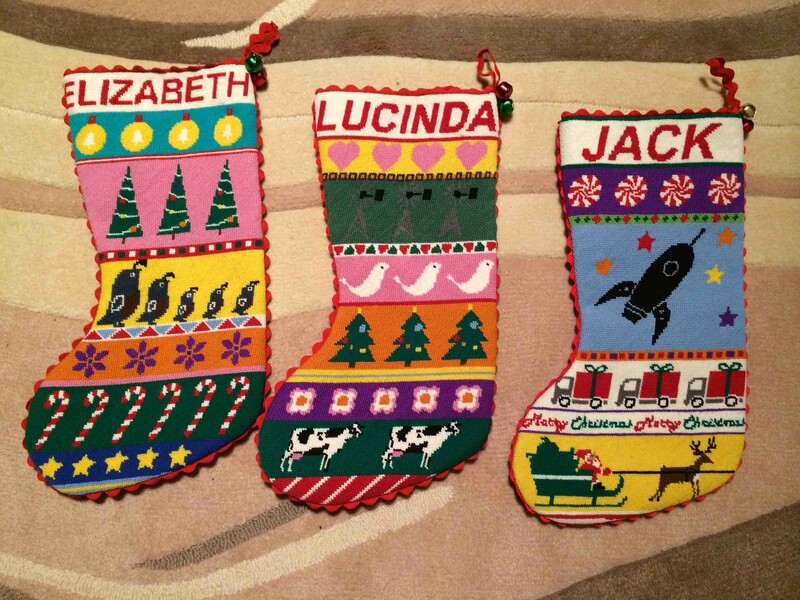 Last Christmas we had a project for a customer who was thinking ahead and came up with some amazing retro needlepoint christmas stocking designs for his family. I’m jealous! 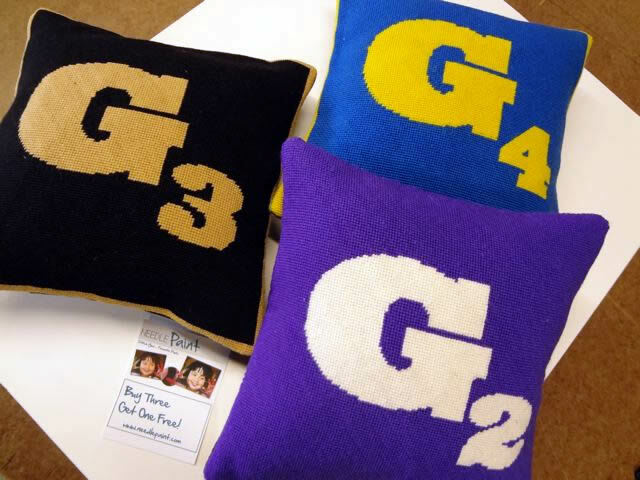 Thanks for sharing Matt! 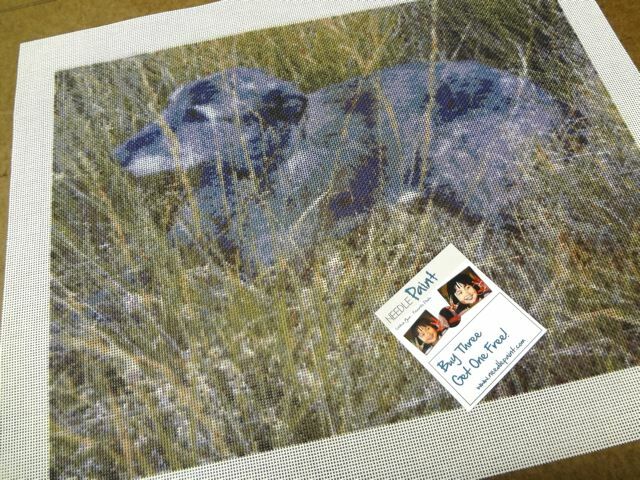 Next up is a dog that Ronda stitched. 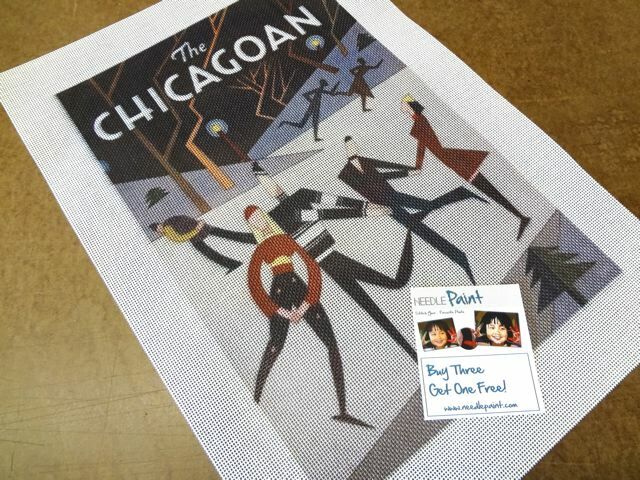 It is a gift and in her words, “They absolutely LOVED it.”, the rest of her review is on yesterday’s blog post. 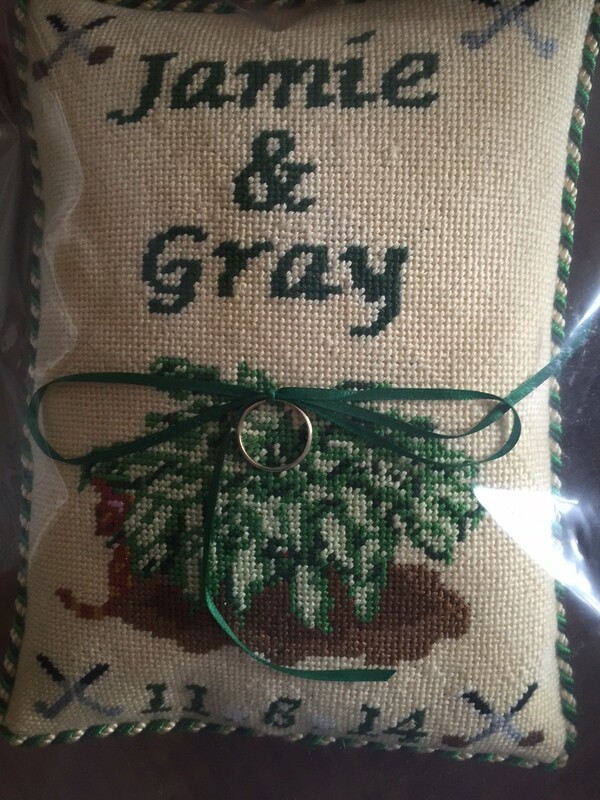 This wedding ring bearer pillow was stiched by a friends mom for their daughter’s wedding. See if you can spot their cat that is hiding in the design. 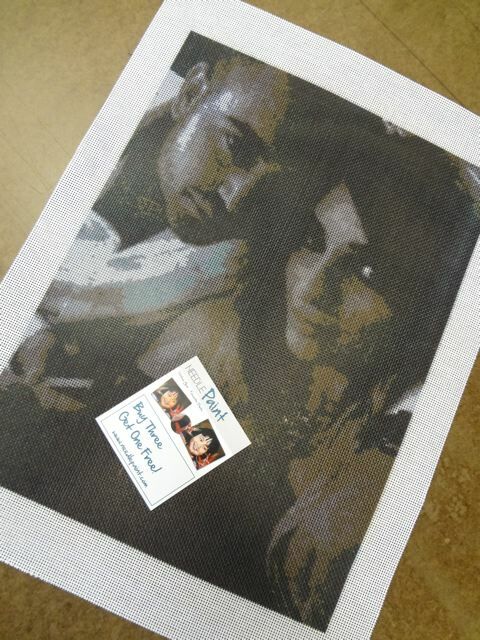 Thanks for sharing Debby! 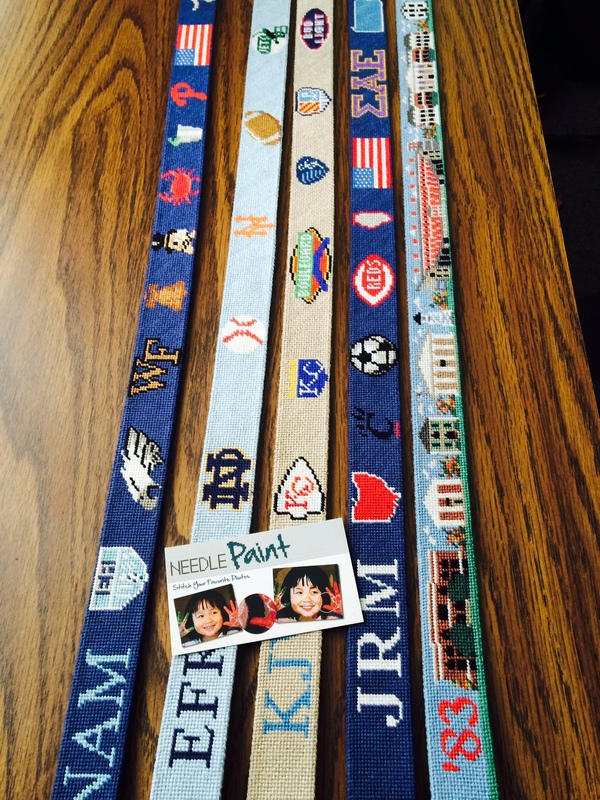 Last image for this post is one of our custom needlepoint belt canvases. 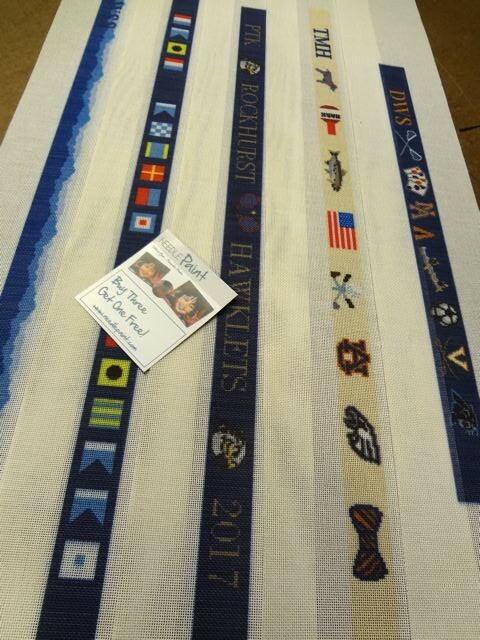 Nice work Halie! 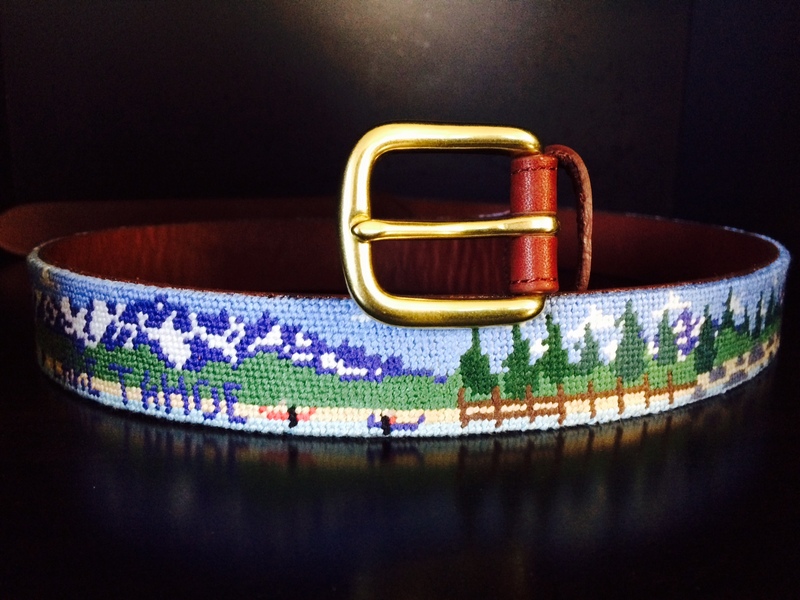 New Custom Needlepoint Belts and Reviews that will Amaze You! 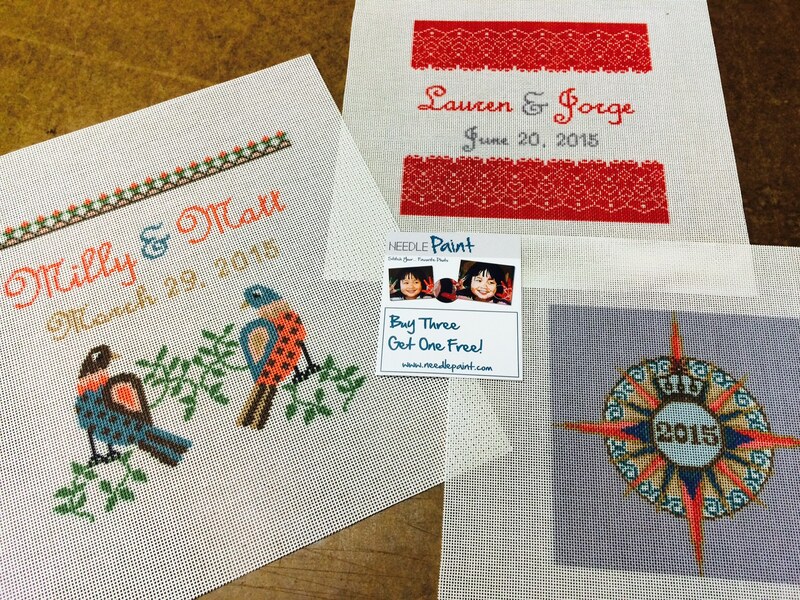 We love to post about what we make here at NeedlePaint, and love even more when our projects get to their recipeients and they tell us about it! 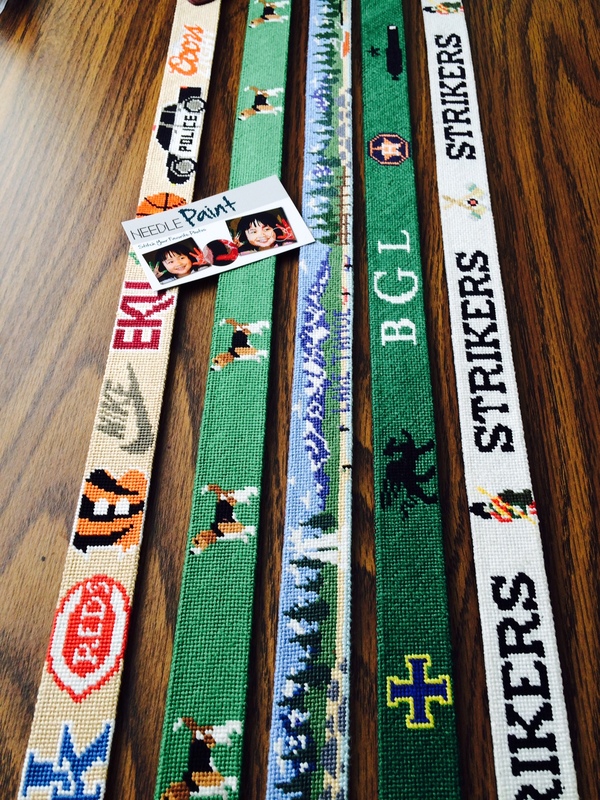 Onto the fun stuff, new needlepoint belts! 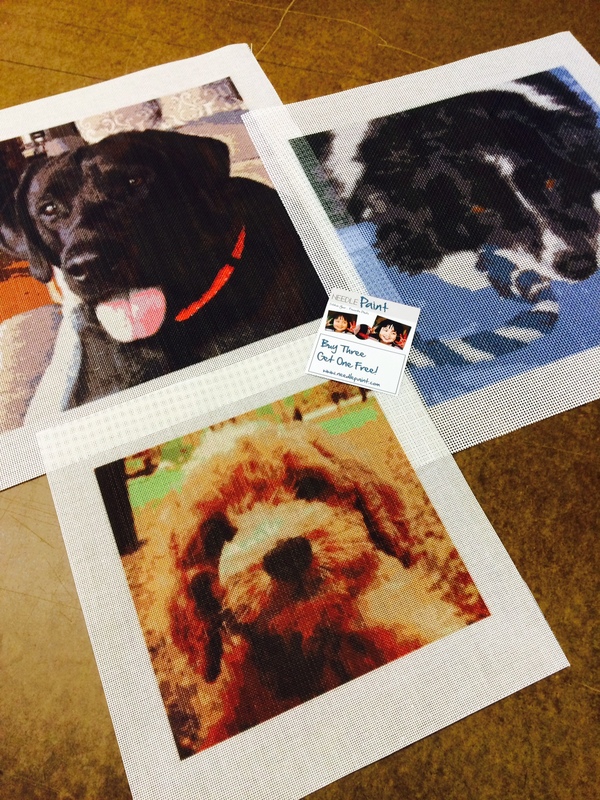 When the weather is cold outside and we’re stuck inside, what a great time to get some needlepoint done! 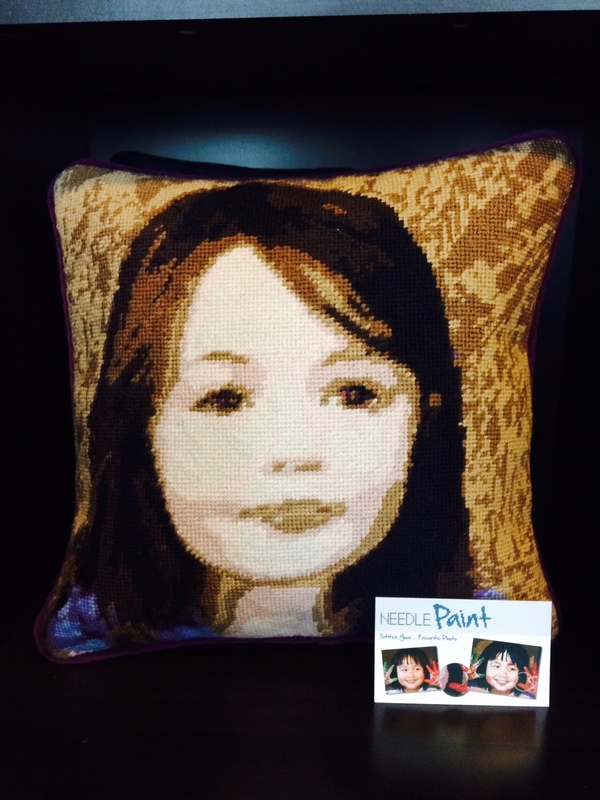 This week we’ve got a lot of custom portriats, which are needlepoint canvases from photos. 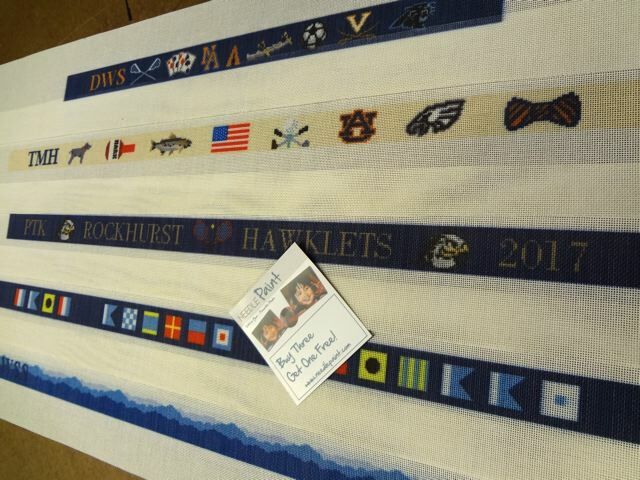 The key to what we do is in the colors. 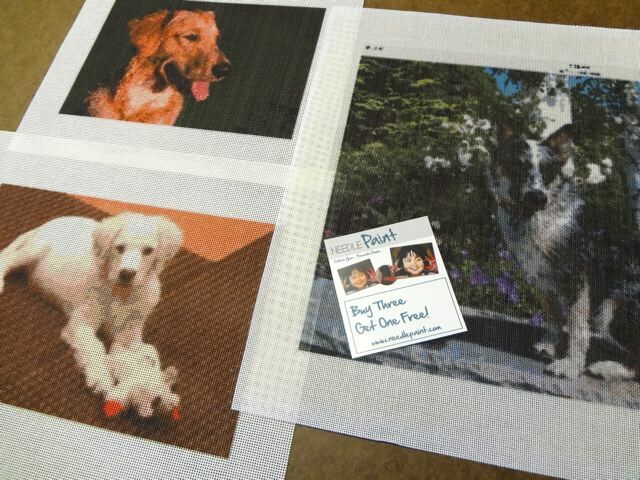 Our website takes your picture and matches the colors to acutal yarn colors. 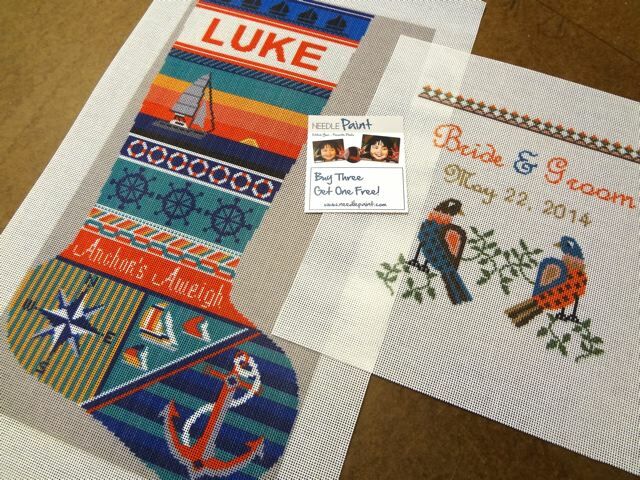 When it does this, it account for each and every stitch, so you’ll not only get a canvas with the design on it, but you’ll also get a color chart that tells you all the colors in your kit and where to use it. 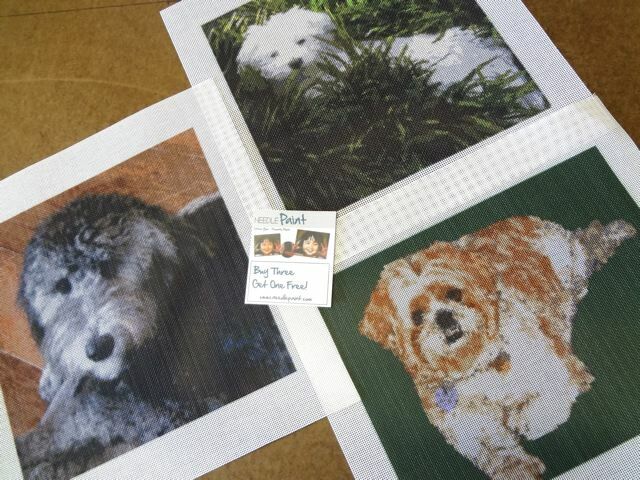 We recently purchased a canvas from another company that sells art needlepoint kits and were suprised that their canvas had none of this. There was just a canvas without any color information. 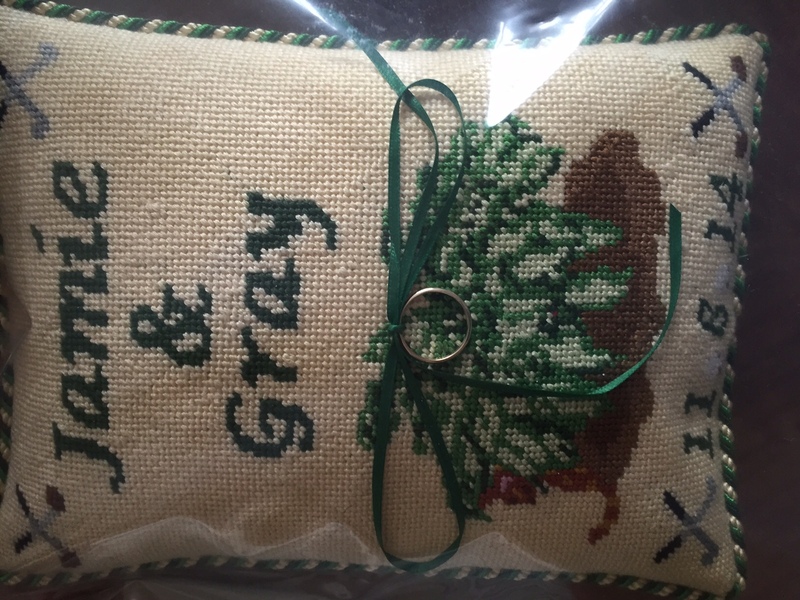 The quality of the artwork was great, so no companints as long as the stitcher feels comfortable making those types of stitching decisions. 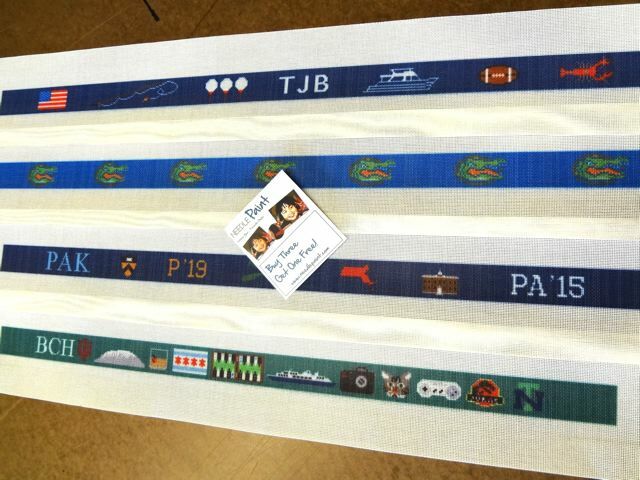 At NeedlePaint.com we’ve found that most of our customers prefer to have the colors matched for them and to have a canvas that is broken up by color with each stitch account for. 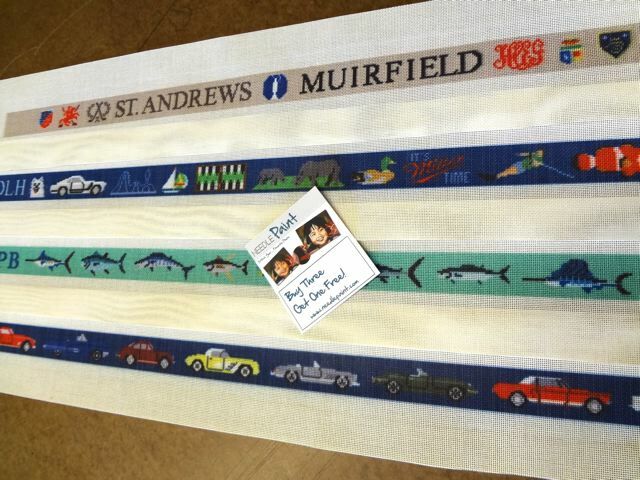 We call this a “Stitch Counted Design”. If you look below, you’ll see how the colors are broken and grouped togather. 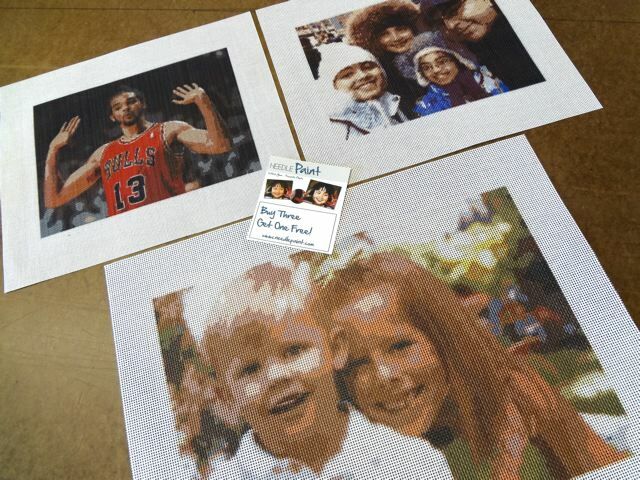 Also, if you order the fiber from us, we hand match the colors to the orginal photo, which is a time consuming process, but makes for amazing, realistic, and fun needlepoint! 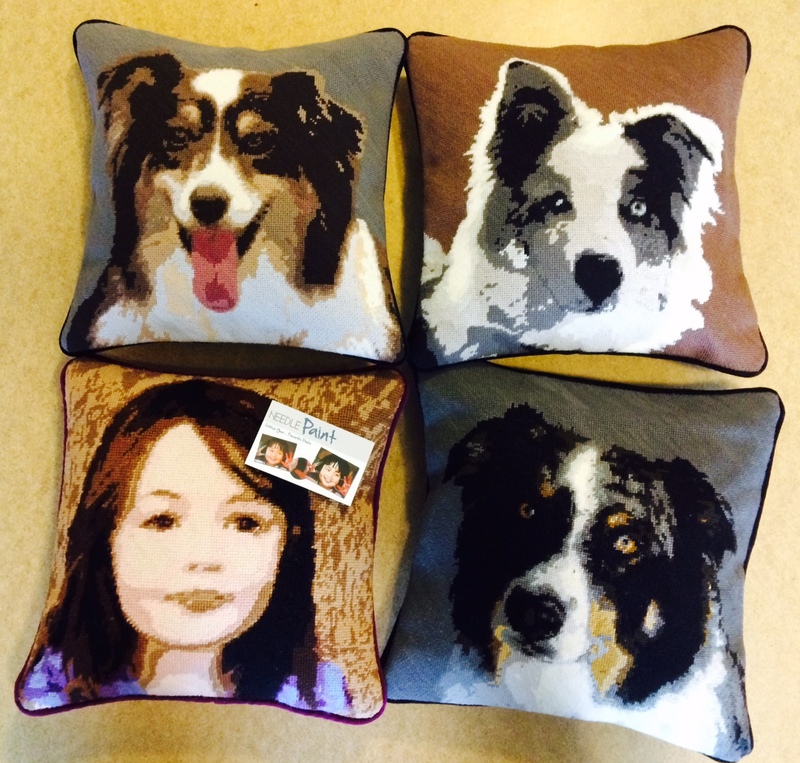 Please click the following link if you’d like to learn more about our stitch counted canvases. 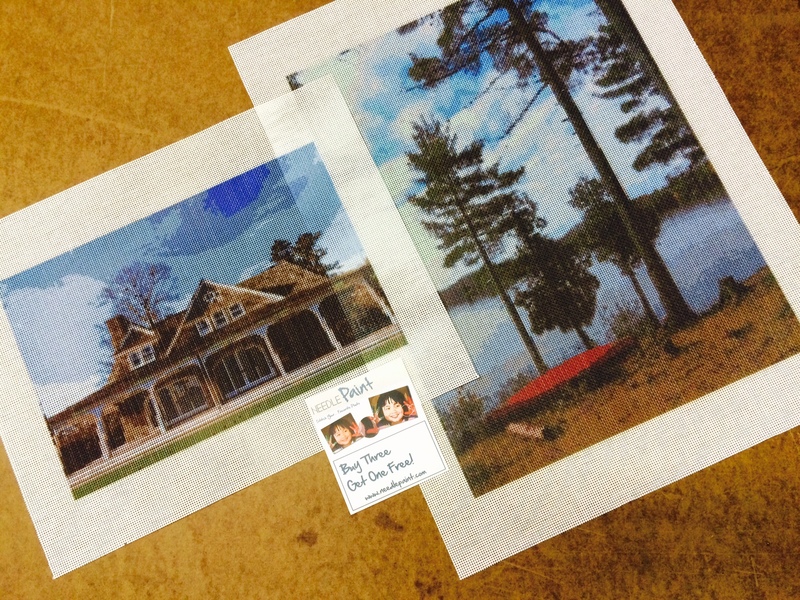 Onto the fun stuff, below are images of some of our favorite projects this week! 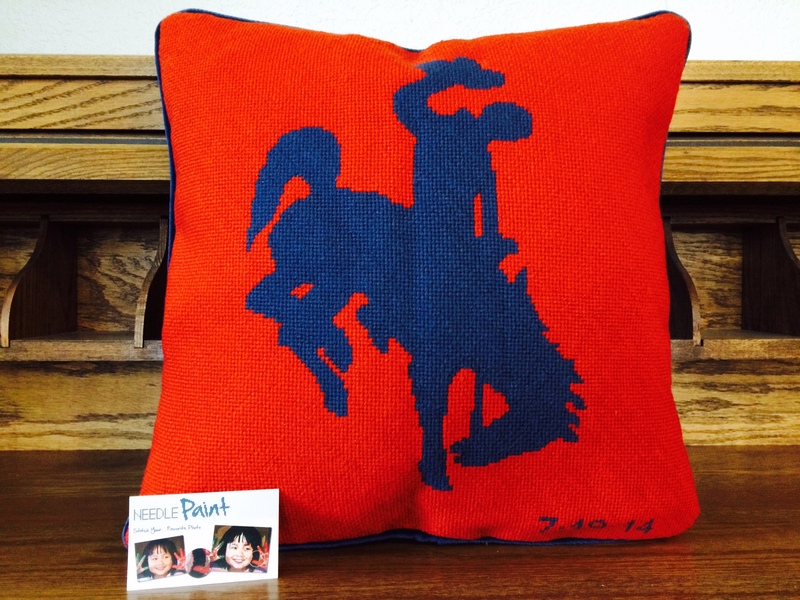 We’re back from the holiday and have a lot of fun needlepoint projects to share this week! 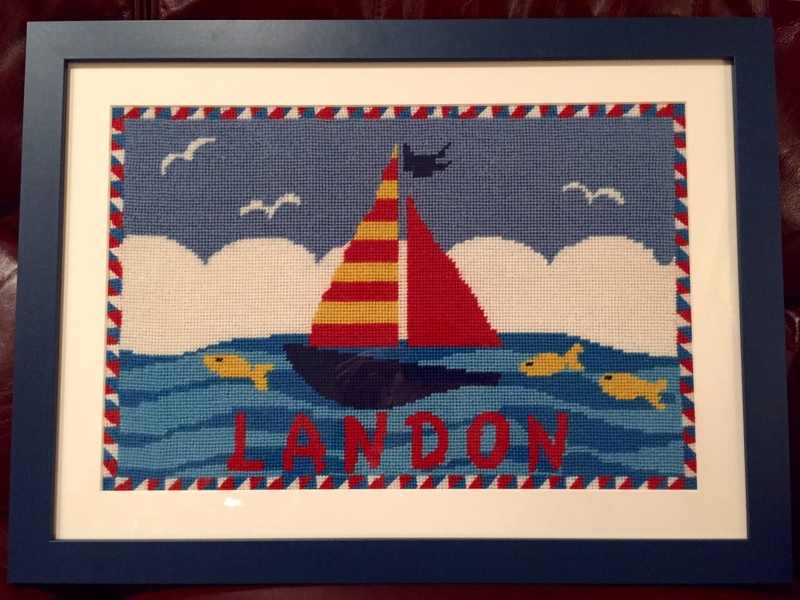 Today I’m posting a picture of the Boys Personalized Sailboat Needlepoint Kit stitched by Stemi finished in the winter of 2014. 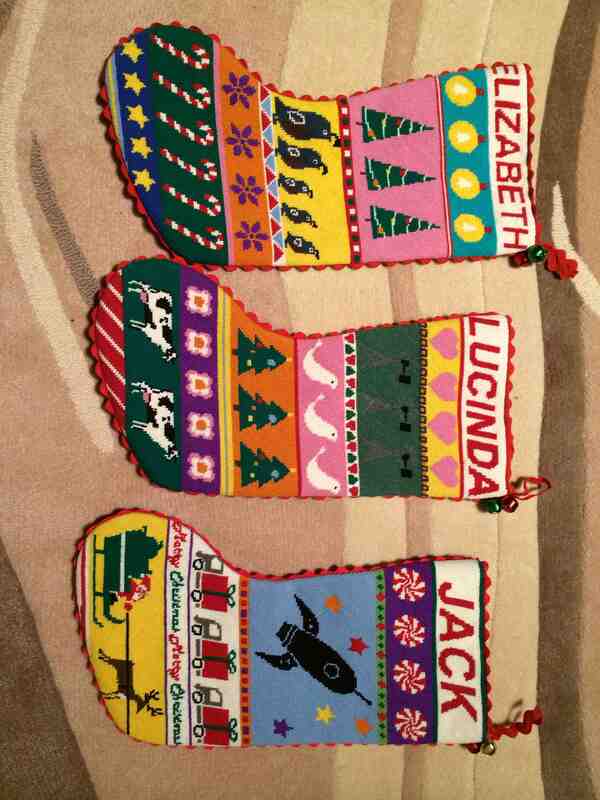 Look how strait her stitching is. 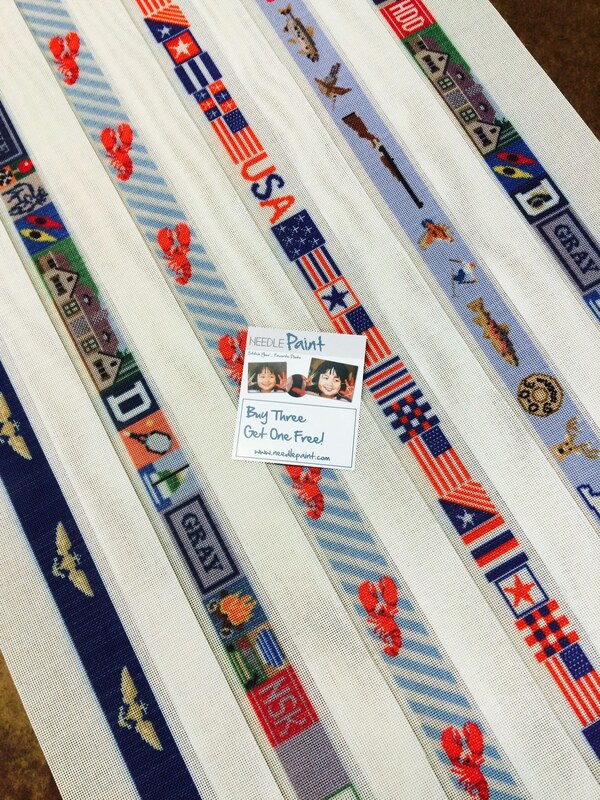 Landon is sure to cherish this for a long time… Nice stitching Stemi!